Beautiful 2 Story Pool Home on Large Fenced Lot in Gated Community. Swing Set in Private Backyard. Note: Tax Records indicates home as a 5 Bedrooms, actually, this home is a 4 Bedroom with a Loft. Loft can be used multi-functionally.Lg Master Bedroom Located on Ground Floor. other Bedrooms up, along with Loft/Living Room. Home is located approx 12 Minutes to Airport & close to ALL Major Attractions, including DISNEY, Universal Studio, Etc. 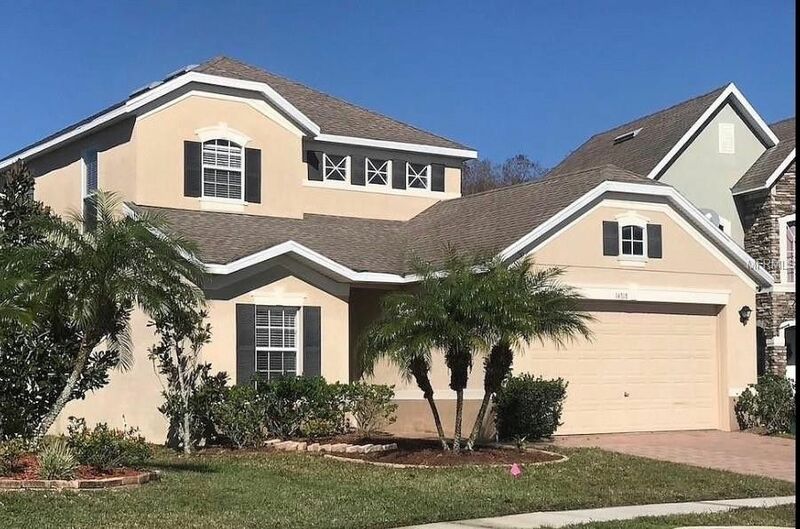 close to ALL Major Roads, Highways, Beltways, Turnpike, Etc.Close to Hospitals, Collages, Restaurants, Shopping, Lake Nona Medical City with ALL Technology including Nemours Children's Hospital. Directions: Landstar Blvd to Rode Island. East to Wyndham Lakes Blvd to left into Fieldstone Sub-Div.